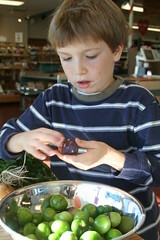 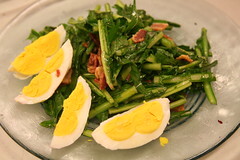 First, we prepared dandelion with bacon and garnished with wedges of hard cooked egg. 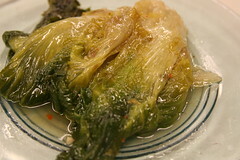 Next, we braised escarole with anchovies in olive oil. 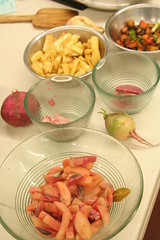 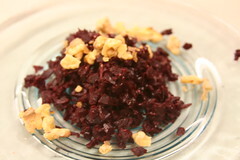 Finally, we prepared minced beets seasoned with lemon juice and olive oil and garnished with walnuts.